As far as home-owner responsibilities, deciding on the siding to cover your home with is a big decision to make. You have to give it considerable thought, since different siding options look and perform differently. You have to know how much you’re willing to spend, and what you want out of your siding. Sure, you could slap some vinyl on your home and save money, but did you know there’s an even more durable choice? Enter seamless steel siding. What Limitations Does Seamless Steel Siding Have? Seamless steel siding is a special product made from steel panels coated with a protective layer of vinyl. Each section of the siding stretches the entire span of the side of a home no matter how wide it is. That means longer homes can enjoy a more durable seamless installation. 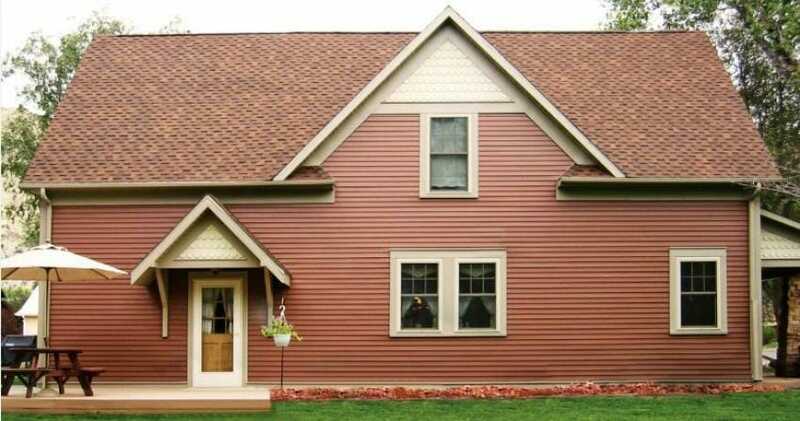 It’s an attractive siding option that is available in a range of colors and finishes. When you decide on seamless steel siding, you pretty much have all the color options that you would with vinyl siding. That means you can pick nearly any color that you like to have put on your home. That’s pretty exciting compared to options like aluminum siding, which limits your options. It’s common for local codes and homeowners associations to set up rules against installing vinyl siding on your home. That’s because it has the tendency to sag and look worn out over time. This isn’t an issue with seamless steel siding. While it looks similar to vinyl siding, it’s proven to hold up better over time—and because of this there usually isn’t any restriction on getting this type of siding put on your home. If you want the clean and colorful look of a vinyl siding but aren’t allowed to get it because of your neighborhood, seamless steel is the option for you. Unlike options like wood siding, there really isn’t much maintenance to seamless steel siding. You should rinse it down now and again to keep it from growing mold or getting too dirty. Just learn how to scrub it down properly and that’s all the maintenance that you’ll ever have to do. It’s tough to find siding that’s fire-resistant, durable against salt spray and ice, and able to withstand extreme temperature changes—not to mention resistant to ants and termites. But guess what? That’s exactly what you get with seamless steel siding. The vinyl outer coating pushes back the elements to keep the underlying metal in very good shape. The metal within fends off fire and pests with ease. One of the main limitations of seamless steel siding is how difficult it is to install. In order to get it on without any seams at all, professionals really need to do all the work. Each section of the siding is custom cut to fit and improper cutting or lack of skill will result in installation problems. It’s not a siding option that someone can try and tackle without extensive experience. Because the siding is difficult to install, it is also more costly to have put on than easier options like clapboard siding or standard vinyl siding. That doesn’t mean that it isn’t worth the expense—you just have to plan to spend more on it. This siding isn’t the best option for locations that are prone to high wind speeds regularly. That’s because the strong wind forces will eventually increase the holes around the fasteners holding the siding in place. Not only does this make the siding installation weaker, but it also allows moisture in and can lead to corrosion and early failure in serious instances. There are better options to use by the ocean, on mountains and other locations that experience heavy gusts of wind regularly. When you pick out the siding color that you want, you need to make sure it’s a color that you’ll be okay with for at least the next 20 years. That’s because this siding is not paintable and you won’t be changing the color while it’s installed. Not needing to paint the siding means it’s easy to maintain, but you have to be the type of person who isn’t interested in change all the time.